A couple days ago was our first snow of the year! 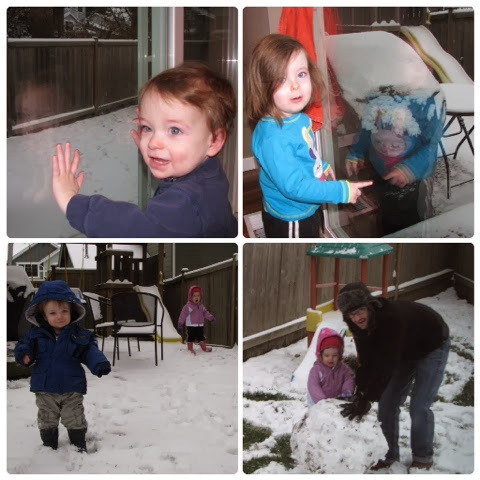 We got the kids and ourselves decked out in coats, gloves and boots then headed out to play. Theo lasted maybe 2 minutes until he was ready to go in. 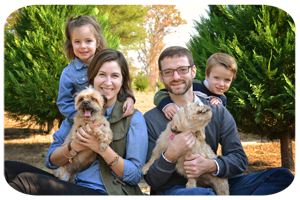 Theo and I stayed inside playing in the warm, comfy house while Madelyn and Tim stayed outside for about an hour and 1/2 making a snowman. 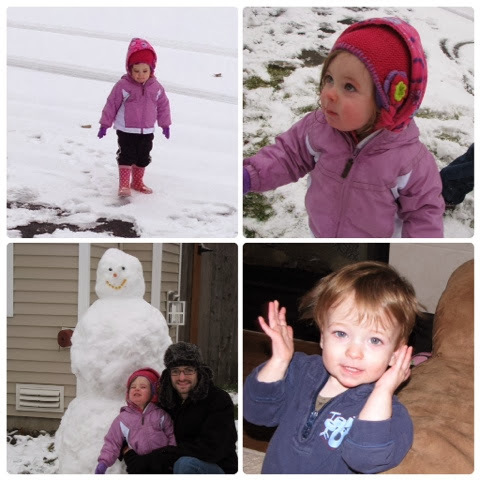 But I think Tim used Madelyn as an excuse to play in the snow :). I know she loved it too! When they finished, it was time for some yummy and warm hot chocolate! 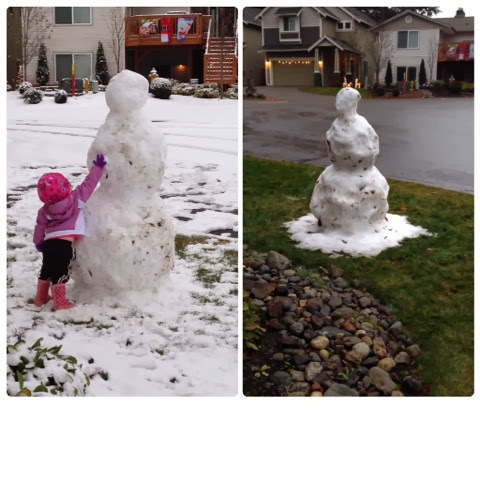 Our snowman, "Ice" named by Madelyn, is still standing! Must be one well built snowman!